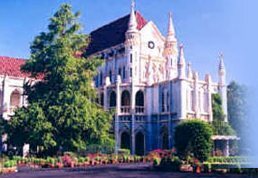 High Court of Madhya Pradesh, Jabalpur has announced jobs for the posts of Assistant register computerisation, Assistant Registrar (IT),Assistant Librarian, Translator, Stenographers, this recruitment is a great opportunity to join the government job. Age : 18-35 years. Relaxation in age as per rules. Application fees:- 50 rupees plus the application fees will be applied to each candidate. Payment can also be done through credit card, or online payment mode. How to Apply : Eligible candidates can apply Online at http://www.mponline.gov.in or http://www.mphighcourt.nic.in on or before 31/10/2011. Read the complete advertisement here ==> http://www.mphighcourt.nic.in/vacancy_01_10_11.pdf for details.